As the mother of a three year old who is trilingual (he speaks English, Dutch and Afrikaans). You can imagine how thrilled I was to discover that there is a growing body of research revealing that people who learn to speak more than one language throughout their lives have essentially trained their brains to be stronger muscles making them smarter, more creative and more responsive to their own feelings and emotions. There’s just something about people expressing their thoughts in multiple languages and being able to experience this world using so many different perspectives when we connect with others in their native language that is so appealing. Imagine how absolutely mind-blowing it would be to have the person of your dreams tell you those three magic words in more than one tongue? After observing my infant son in a social situation selecting his language and directing it to the appropriate person with the sole purpose to be able to connect with them clearly. I think there is something deeper to speaking more than one language than meets the eye or brain. It’s something in the heart, in the soul. The New York Times reports found that speaking more than one language in life truly strengthens the brain in multiple studies performed on participants of all ages — from infants to those in their twilight years. A study published by the National Academy of Sciences researched cognitive gains in seven-month-old infants introduced to more than one language from birth, compared to children being raised in a mono-language home. The researchers used audio in order to train the infants to anticipate changes in visuals taking place in front of them. Infants were given an audio cue before seeing a visually stimulating award, in this case a puppet popping up on one side of their screen. They repeated this action so the babies would anticipate the reward after hearing the audio cues. To test how well the babies anticipated their “reward,” the researchers displayed the puppet on the opposite side of the screen after the audio was played. Researchers found that the infants who were exposed to more than one language from birth more quickly adapted to the switched screens. Another study, led by neuropsychologists at the University of California, was conducted on 44 elderly bilingual people. It suggested that using more than one language slowed the onset of many illnesses, like Alzheimer’s and dementia. With NPR reporting that dementia patients who are bilingual experience onset on average, four-and-a-half years later in life. Training the brain to learn more than one language from an early age, as well as using those multiple tongues throughout your life is just like working out any other muscle in the body , the more you train it, the easier it is to flex and use on a daily basis – well into your golden years. While research makes it abundantly clear that being bilingual means having a stronger and sharper brain, you may not assume that learning more than one language would make you more creative, too. I imagine if your mind is flexible enough to think in two languages or more, then you can quickly think outside of the box. 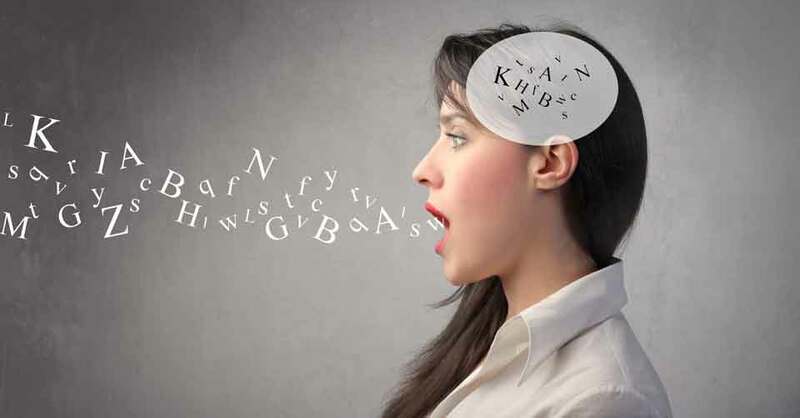 However, Psychology Today reports people who are bilingual can come up with more creative problem-solving techniques and fluidly respond to challenging tasks than those who only use one language as they are more proficient in the formations of things like syntax, figurative language and metaphors, which allow their brains to think more creatively and respond to obstacles in more innovative ways. Medical Daily reported on a study that observed 120 nine-year-old students to see if being bilingual effected their problem-solving ability and creativity. This confirmed that by learning multiple languages from an early age, children are more equipped to understand various ideas and concepts rather than a single, streamlined thought process. It’s as if being bilingual allows us to tap into the more creative aspects of our brains that are normally left unused. My hope for my son is to encourage him to speak numerous languages to assist him in not only learning more about different cultures and various communities, but also to guide him in learning more about himself and all the creative ways he can express who he is. Speaking more than one language helps you understand the human heart. And she’s right. Language in its various forms can be used as a tool to help us understand our core morals, beliefs and even passions and by understanding the effects being bilingual has on the brain, we can begin to see the enormous benefits speaking more than one language has on the human soul. Not only does it better connect us to the world and people around us, but multiple languages help us connect to ourselves. And for children growing into adulthood language unlocks the door to the heart by allowing us to easily communicate with each other and ourselves, by being able to understand who we are better, we ultimately become better lovers. If speaking multiple languages can help us simplify and organise our thoughts better, then it can help us to understand the complex variations of love, life and happiness and relay those feelings to our loved ones clearly and effectively. If you didn’t get a chance to learn that many languages when you were younger, don’t despair, you can start at any time and perhaps you could just learn the most important words in the world.